A new addition to Malta’s Christmas Village. 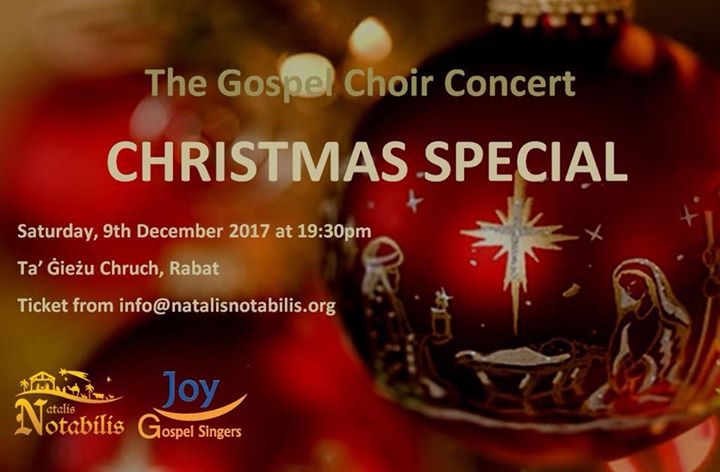 Join the Joy Gospel Singers for one night of Christmas Carols in a vibrant performance. Book your tickets on info@natalisnotabilis.org to reserve your seat. This event is part of Natalis Notabilis 2017.